- Live Backups were storing tar files and not detecting the correct file system type for the data partition. This was due to the Feb security update. 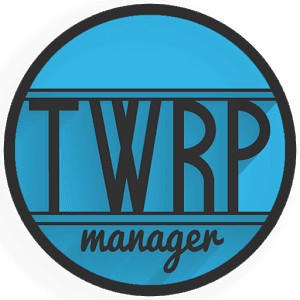 NOTE: If you experience difficulties with downloading TWRP Manager (Requires ROOT) Full 9.5 APK from given links below, please try to login first to those file hosting before download (it's free to create an account), make sure to uncheck "Use our download manager and get recommended downloads" or similar, if any.